It is snowing for the first time this winter in Braintree. Paul Gunn is driving his car to the train station, and we talk about his grandchildren and how much he and his wife love them. I glance at my watch. We met to talk three and a half hours ago. Our interview was not sad, as I had expected before the meeting. Paul Gunn, a 59-year-old Braintree resident and supporter of the Death with Dignity Initiative, keeps himself optimistic even while telling the story of his father, a terminally ill patient who died several years ago. But his father was not the only person who faced a serious illness in his family. “My wife has almost died twice now,” says Gunn. He met his second wife, Carol Cornetta, through the Internet at the end of the ‘90s. In 2000 they married, but soon the family faced health issues. “For the first time, she had leukemia, when, in fact, her red blood cells were basically exploding inside the body,” says Gunn. Cornetta did not give up and fought until fully recovering. It took her months of treatment in the hospital. “She has got a lot of pain,” says Gunn. The second challenge for Gunn and his wife came when Cornetta had a heart attack. Her husband’s support was essential in this fight. “He is my second husband, actually. I am so glad I found him, as he can do anything for me,” says Cornetta. These health problems were nothing new for Gunn’s family. Gunn’s father was 72 when doctors said he was losing his kidney function and sent him to the hospital. The only solution that could save his father’s life was dialysis, a procedure that substitutes for kidney function by filtering the blood. Paul Gunn’s father decided to refuse any treatment, knowing it would kill him. Doctors were heavily against his decision, but before arrival at the hospital his father had submitted an official document that allowed him to refuse treatment. Gunn says, “You are allowed to say, I do not want this medical treatment. Doctors could not do anything to stop it.” After four days in a coma, his father died. For many families, the decision to let their loved ones die by their choice can be unacceptable for ethical or religious reasons. Cornetta argues that people have these objections only when they do not see the suffering. “When it happens close to you, I think, you understand more,” says Cornetta. Paul Gunn clearly remembers the moment that pushed him to speak up on death with dignity on the eve of the election. 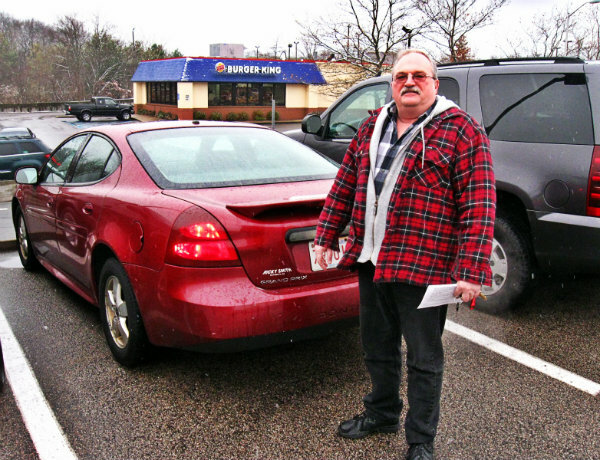 By chance, he heard a death with dignity opponents’ ad on the radio, and it outraged him. “It was a huge lie!” exclaims Gunn. Carol Cornetta identifies her husband as a longtime supporter of death with dignity. “I think he agreed with death with dignity even before his father passed away,” says Cornetta. But Paul Gunn never became an activist campaigning for the initiative. 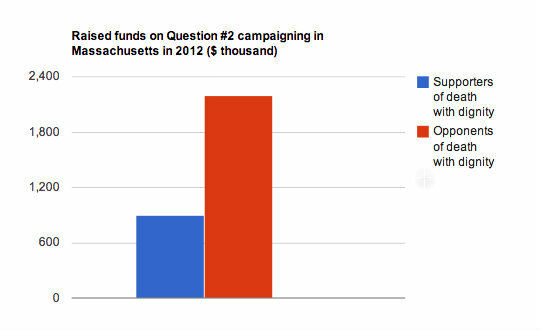 On November 6, fifty-one percent of voters in Massachusetts voted against Question #2. Carol Cornetta worked for a long time as a nurse, but unlike many professionals in the field, she shares her husband views on death with dignity. “If there is no hope for surviving and quality of life while in a hospital, and there is no communication, why is it worth living?” asks Cornetta. Cornetta understands the reasons why so many people voted against the initiative. “My own part is that people always hold on to their hopes, there still will be a miracle and a person gets better. They always want to have a chance,” claims Cornetta. Gunn’s family does not lose hope that the Death with Dignity Initiative will succeed one day. The main question is, when? “Honestly, I would like to see it on the next ballot,” says Gunn.